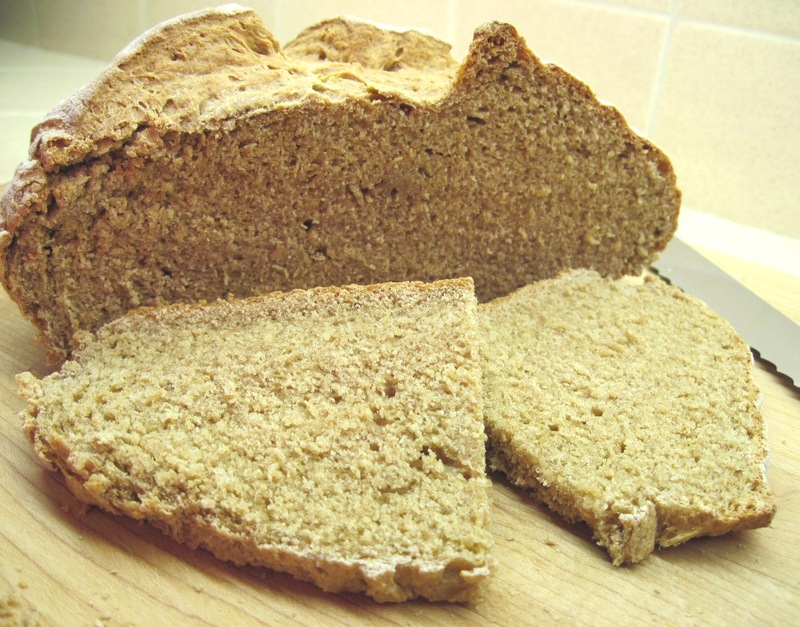 James Beard’s Irish Whole-Wheat Soda Bread was published in his 1973 book, Beard on Bread. It’s always been my favorite because it is so simple to make. It has very few ingredients. There’s nothing in it to “fancy it up”. 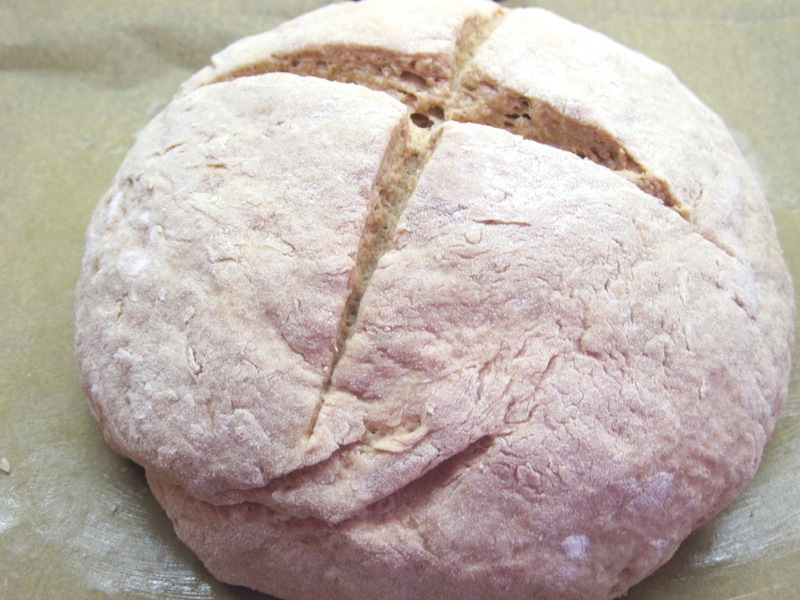 There’s no butter, raisins, caraway seeds, eggs–all things I’ve seen in other Irish soda bread recipes. This is the way I imagine my Irish great-great grandmothers would have made it back in “the old country”. I have tweaked it a bit over the years. The version I make today uses much less salt than Beard called for (1 tablespoon! 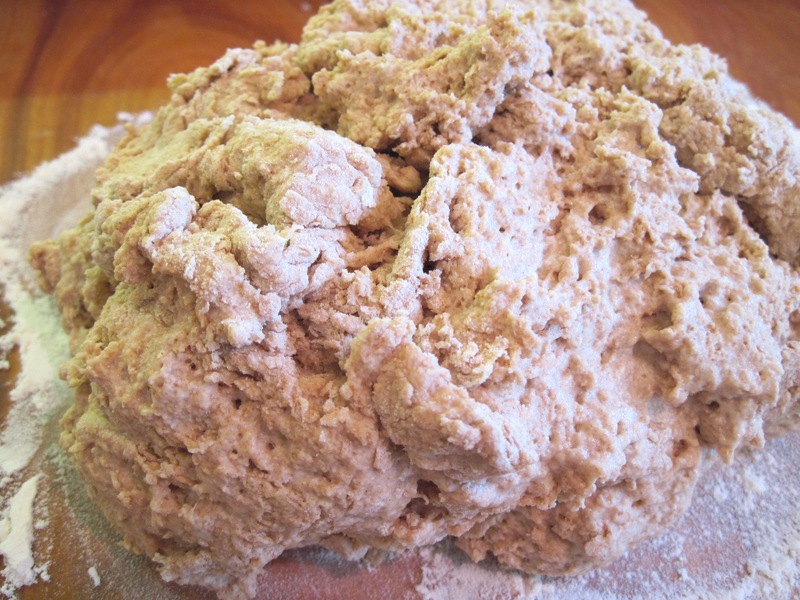 ), and I use more baking powder. I used 1 ¼ teaspoons of fine sea salt today. Sea salt is not as salty as regular table salt (it is lower in sodium); had I used table salt, I would have used just 1 teaspoon. I often make it to go along with my corned beef dinner for St. Patrick’s Day. That didn’t happen this year. I made it this afternoon and I’m looking forward to having it with some of the leftover corned beef tomorrow! 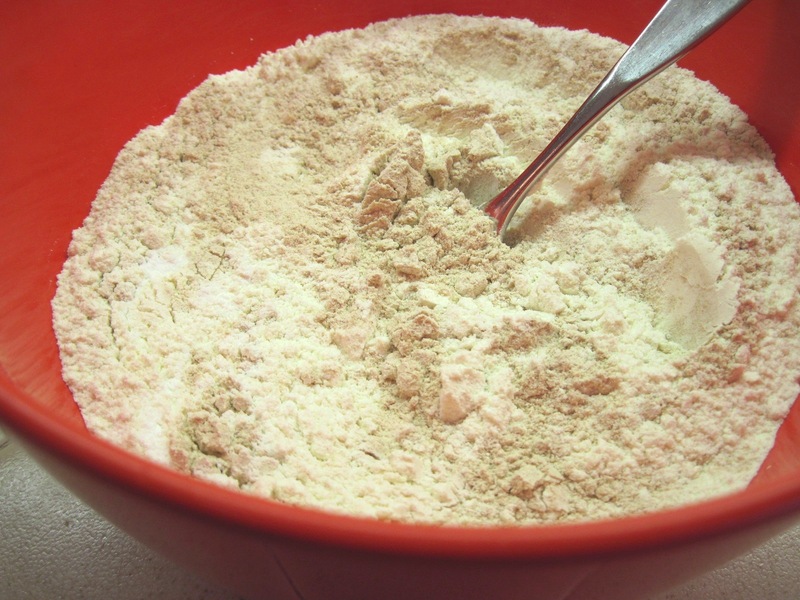 Combine the dry ingredients in a bowl and stir well with a fork. 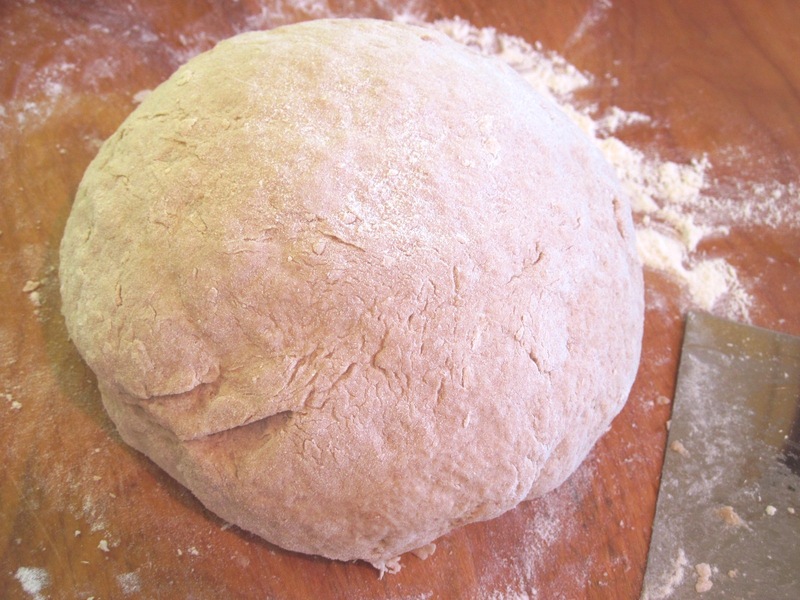 Put the dough on a buttered baking sheet (or on a buttered piece of parchment paper on a baking sheet, as I did). 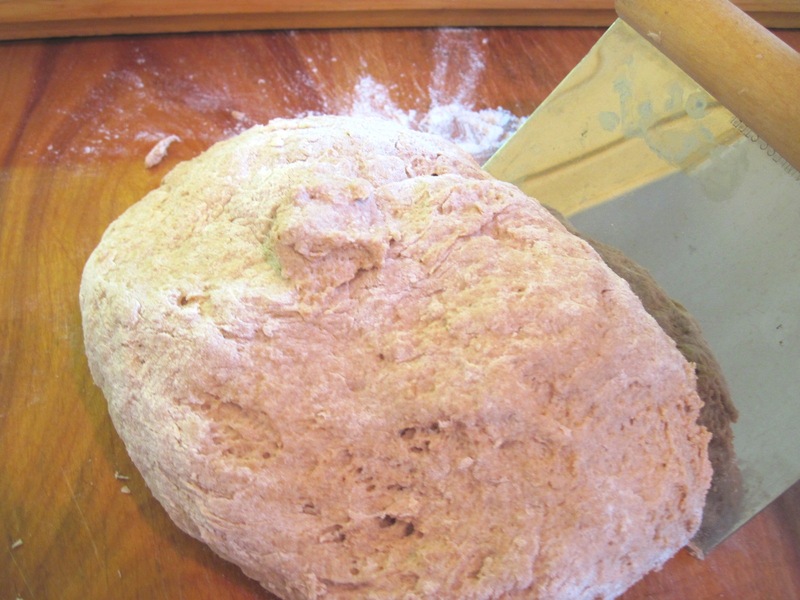 With a sharp knife, cut a cross in the top of the dough. Let the bread cool on a rack before slicing. 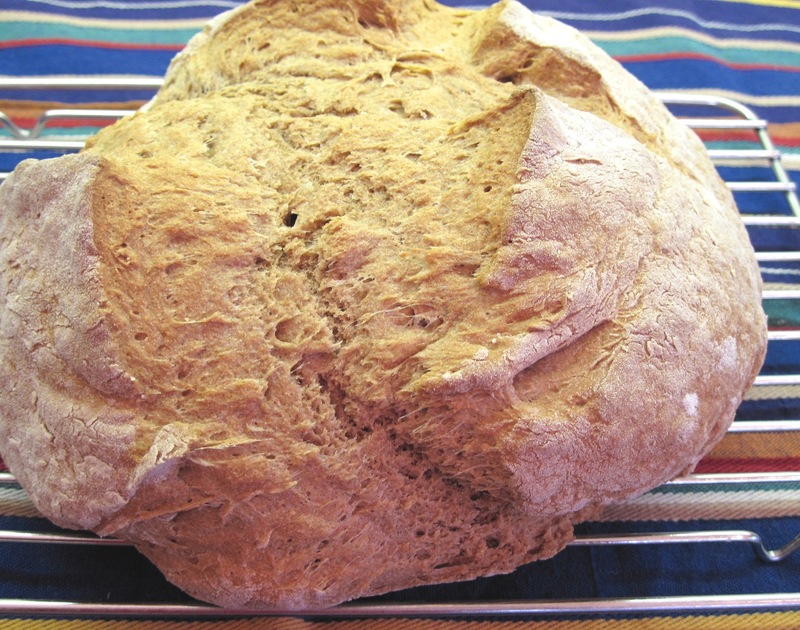 James Beard said that soda bread must always be cut in thin slices, never thick. It makes great toast!